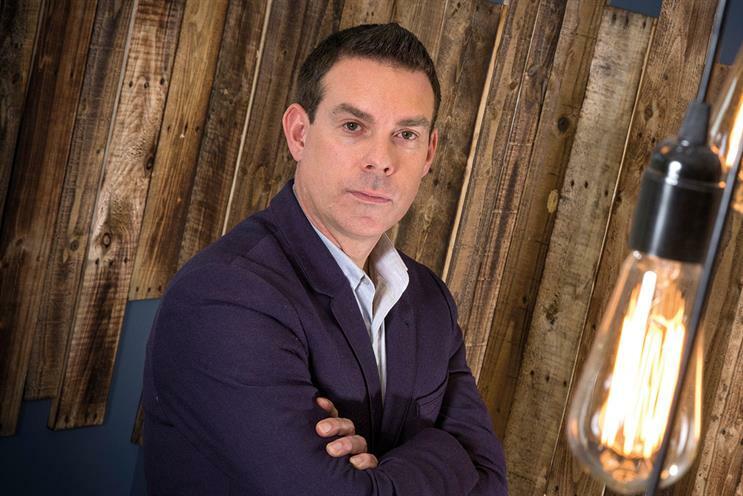 The new HMG UK and Ireland chief executive is focusing on content and social as he aims to grow agency billings to €1 billion by 2020, Gideon Spanier writes. A bottle of bubbly has just arrived in Paul Frampton’s office to congratulate him on being named the UK and Ireland chief executive of Havas Media Group. The Facebook gift bag gives away the identity of the donor. "They were first off the mark," he beams. This is someone who likes to be noticed. Frampton has Tweeted more than 30,000 times, chiefly about business and workplace culture, and, on the day we meet, is sporting a purple Ted Baker suit and a snood inside his St Martin’s Lane office. "I like to wear slightly different attire," he confesses. Interests: Manchester United, technology, EDM and "the white isle"
Favourite Tweet: "Done is better than perfect"
Frampton got his first job in 1997 as a planner/buyer at Media Planning Group, which became part of Havas Media Group, and never left. He became the UK chief executive of Havas Media in 2013 and has been the most visible member of HMG’s senior management. His promotion puts him in charge of a business that comprises Havas Media, Arena and Forward Media, plus the entertainment agency Havas Sports & Entertainment Cake and the creative shops AIS London and Arnold KLP. Frampton fills a role left vacant since the departure of Mark Craze two years ago. "Now I have the ability to join everything together," he says, adding that his focus will be on earned and owned media such as content and social because paid media "has less importance than it had in the past". Frampton’s new job comes ahead of the company’s move into Havas Village in King’s Cross next year, which it will share with Havas Creative Group. Havas’ majority owner, Vincent Bolloré, is also pushing for closer links with its sister Bolloré Group company, Vivendi, the parent of Universal Music and Canal+. Havas Media had a decent 2015, winning a net £30 million in new billings including the BBC and Royal Mail, and Frampton relished helping BBC Three move online, with the agency delivering media and some of the creative. HMG claims UK billings of €655 million (£511 million) – higher than Nielsen’s estimate because the company’s research doesn’t truly reflect digital, which makes up more than 40 per cent of its business. Frampton claims HMG has overtaken IPG Mediabrands to become the fifth of the big six ad groups, estimating his rival has £450 million of billings – although IPG refutes it is now smaller than Havas. Frampton concedes Havas still only has 3.5 per cent of UK media. Frampton wants it to hit billings of €1 billion by 2020 but insists it’s not all about scale. "We have to work differently," he says, claiming Forward Media’s smart buying got a double-digit improvement in efficiency for O2 after taking over the account from ZenithOptimedia. He champions corporate openness and talks about a spirit of "generosity", but Havas Media has suffered an exodus of senior talent and significant employee churn. However, Frampton vows an improvement. "With change, some people feel uncomfortable," he adds. Frampton’s father was a secondary school head and his mother the "driven" head of a primary, which underpins his support for women in the workplace. A young Frampton tried journalism but chose English at university. His parents "wanted Oxbridge" but he chose Southampton – "a bad decision, but I don’t regret it" – to be near the woman who became his first wife. He landed at MPG but the early years were "horrible". It was "run by fear" and he almost left to work in education: "I made a pact with myself that I would try to get into a job to change the company." Becoming the head of digital in 2002 pushed him up the ladder. "Paul was in the first wave of digitally savvy operators who took the helm at a traditional agency," Bruce Daisley, the vice-president of direct sales at Twitter in Europe, says. "As a result, he’s got a change mentality to everything he does." But sceptics wonder if Frampton is so keen on future-gazing that he might ignore what clients need now. He counters by saying that clients tell him they want to do more in digital. Frampton loves Twitter and LinkedIn because "they allow me to find my inner writer", adding that it "flabbergasts me" that more chief executives don’t use social: "I stay connected with all of my 750 people. They can see what I am interested in and what I am talking about. Some of them pick up the signals." A former colleague who fell out with Frampton suggests he risks sounding like David Brent from The Office. Speaking out does provoke criticism. When Frampton wrote in Campaign about the need for "manbassadors" – men who will fight for women’s equality – he got some flak. But Frampton has shown he is tough enough to withstand the brickbats, and he dismisses doubts about him never working outside Havas or the UK: "I’m 40 and I’m the group chief executive of an agency group – I’m not sure I could have got much further. I don’t think it’s harmed my career."